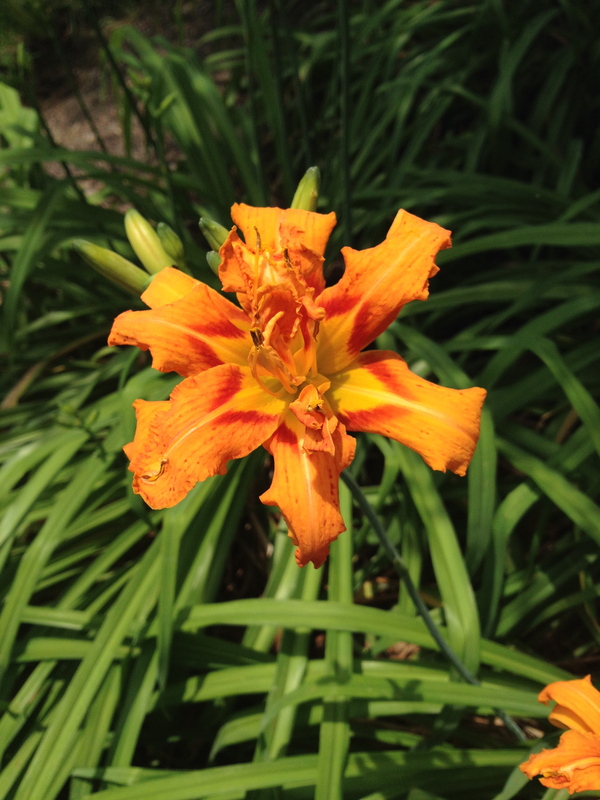 Number 1 on the list are the daylilies- this variety is a double flowering beauty. I can always count on them for at least a month’s worth of show. The outside chores are done, and now it’s time for a nice cold iced tea. 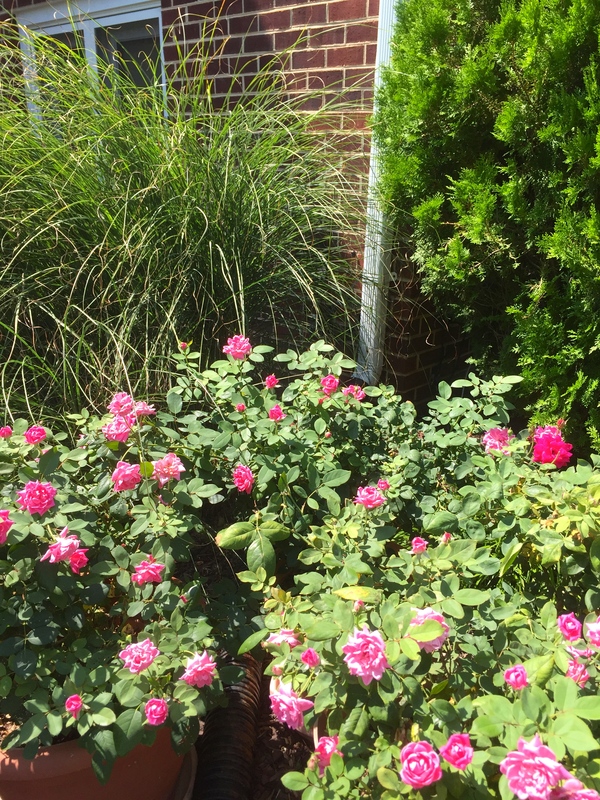 I’m going through photos from this summer’s garden and want to share some of the plants and flowers that are thriving in my garden in this heat wave. These are my picks for this season’s best here — please let me know what your favorites have been in your corner of the world! 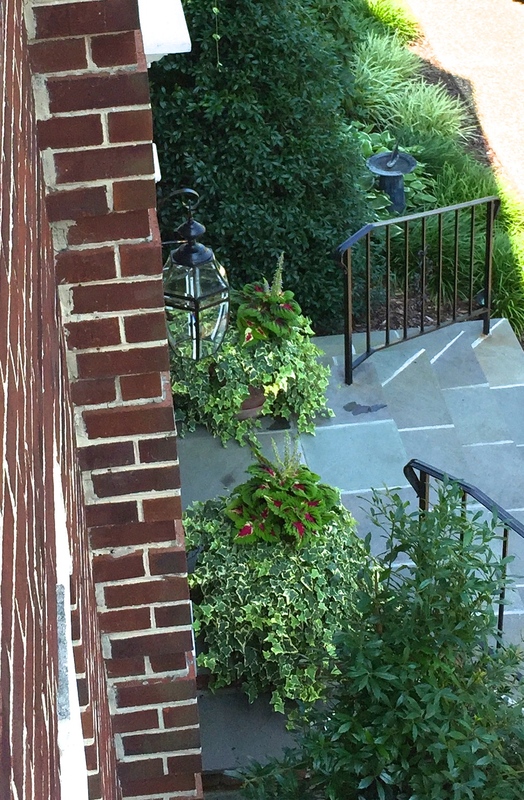 I took this front porch photo while I was up on a ladder brooming down spiderwebs (which are way too plentiful this summer!). I love looking at the garden from a bird’s eye view. 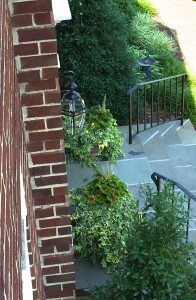 The ivy in the flower pots has gotten huge and looks great year round. I just change the center flowers each season. 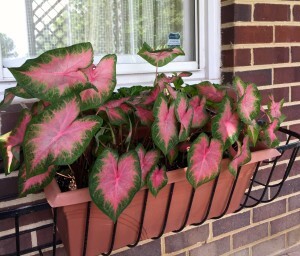 These are the caladium plants that I rescued from the rains. 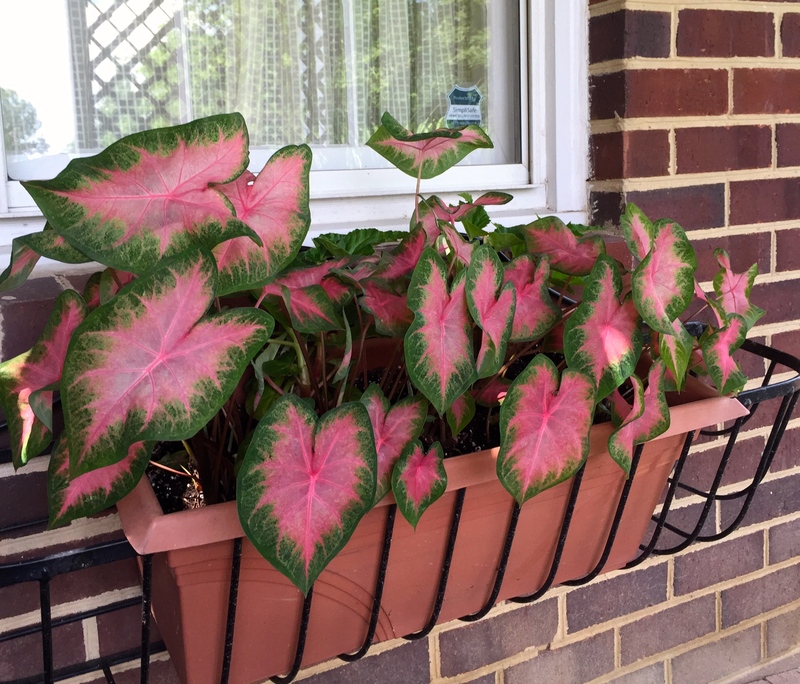 They have come back nicely, and are very happy in the protected window box under the deck. These “King Kong” coleus in the window box above the door are my favorites of the summer — very tropical! 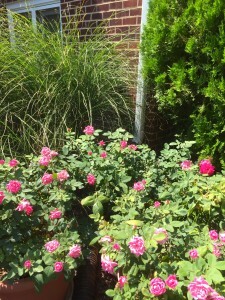 The knock out roses are in their third bloom already and always are a classic fav! The liriope have become great border plants along the front walk. Every three years I can divide each one into 4 to 6 new plants. 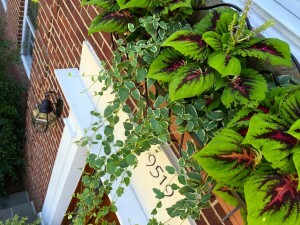 In the late summer, they will have purple blooms. 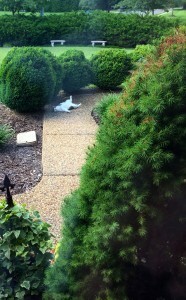 My little friend loves these boxwood — He’s happy anywhere in the shade! Boxwood have always been a wonderful walkway plant here in Mount Vernon dating back to the days of George Washington. 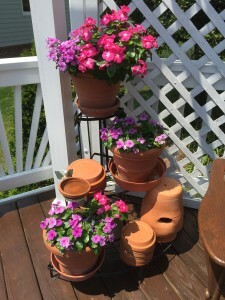 Up on the deck, I am loving all the color from these vinca in pots. 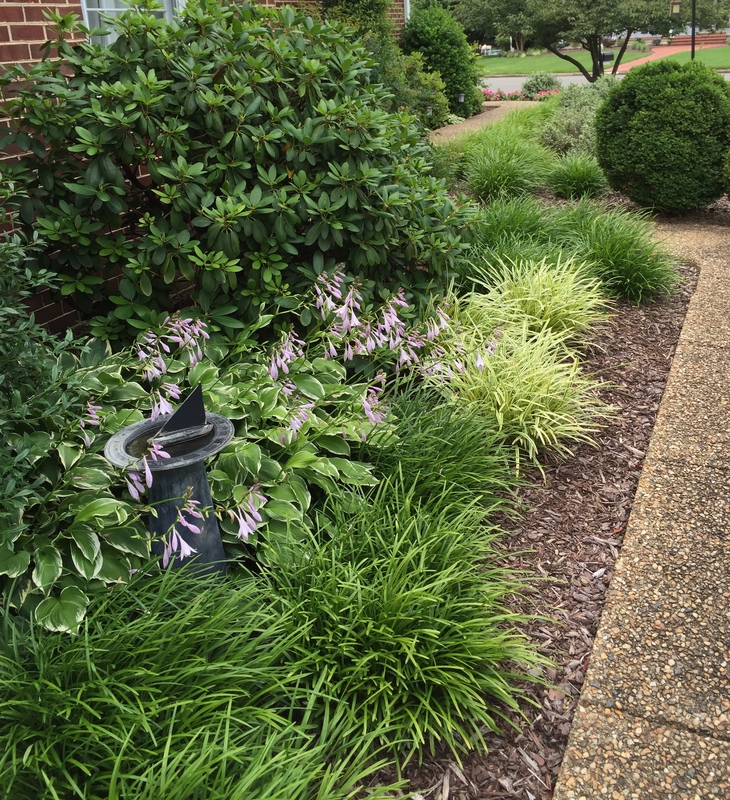 I also have these planted by the driveway. They love the sun and heat much more than I do! 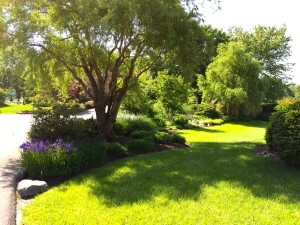 And last but not least, the curly willow trees that are planted in three corners of the property. I always feel cooler watching their branches dance in the breeze. The Queen of Autumn – Beautiful Mums – Long May They Reign! Lawn Renovation Even in Sauna Weather – Got to Get it Done!